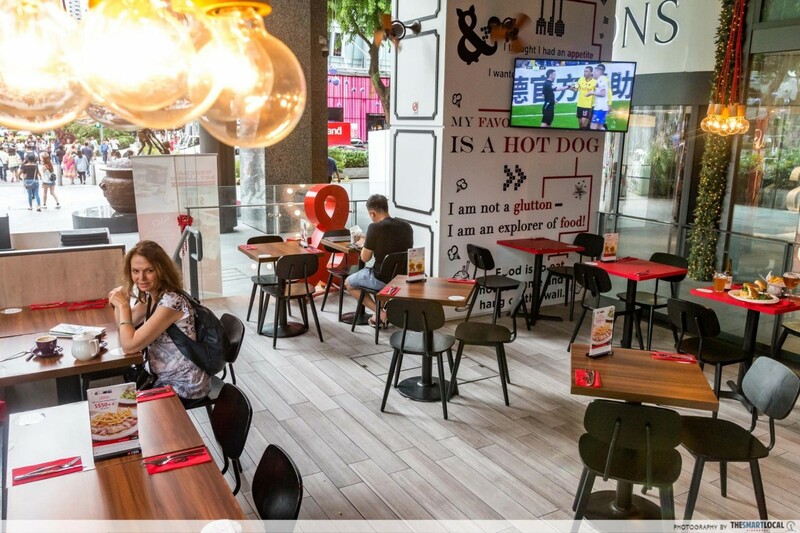 L’Entrecôte The Steak and Fries Bistro is celebrating its 7th birthday and they are dishing out FREE FRIES - served with their heavily-guarded secret sauce - to everyone who heads down during 3pm to 6pm on 11 November, Saturday. 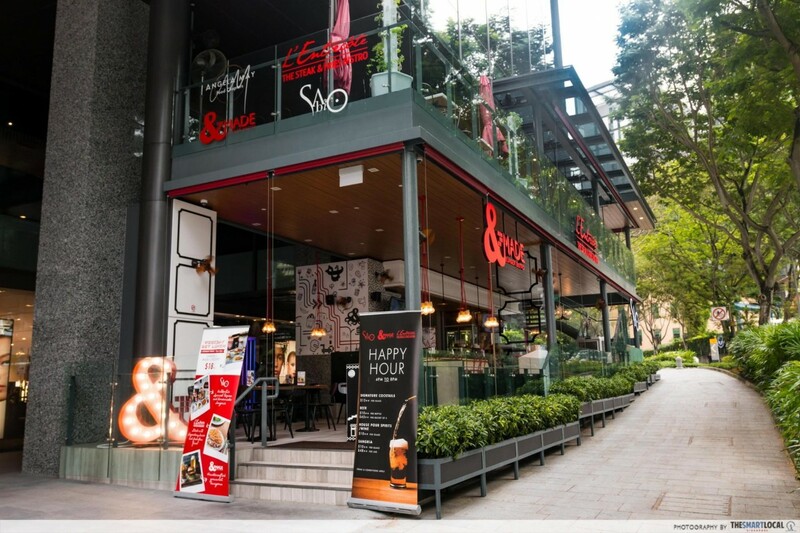 L’Entrecôte can be found along Orchard Road in Glasshouse by DHM at Robinsons The Heeren, a four-in-one spot with other restaurants Ange Café, Sabio and &Made, so you'll have a better idea of what the best dishes to order are if you're feeling peckish on the day. 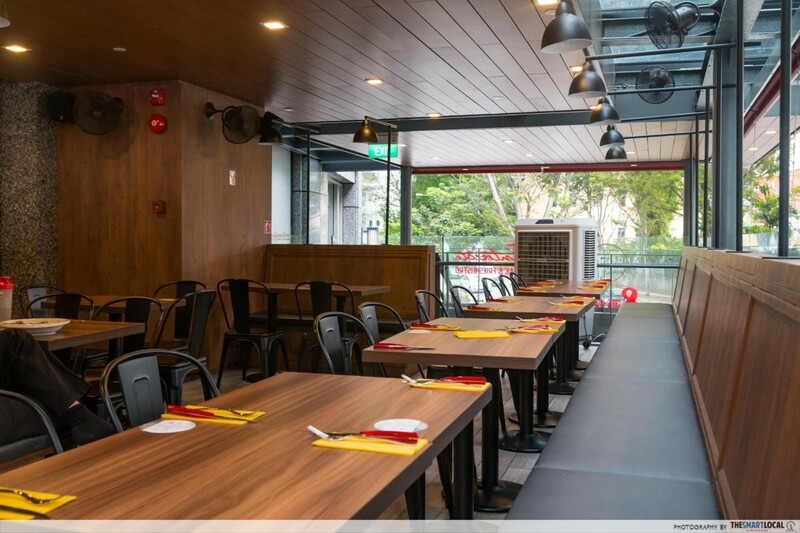 Glasshouse has a casual free-seating arrangement that allows you and your friends to order from any or all 4 of the restaurants. 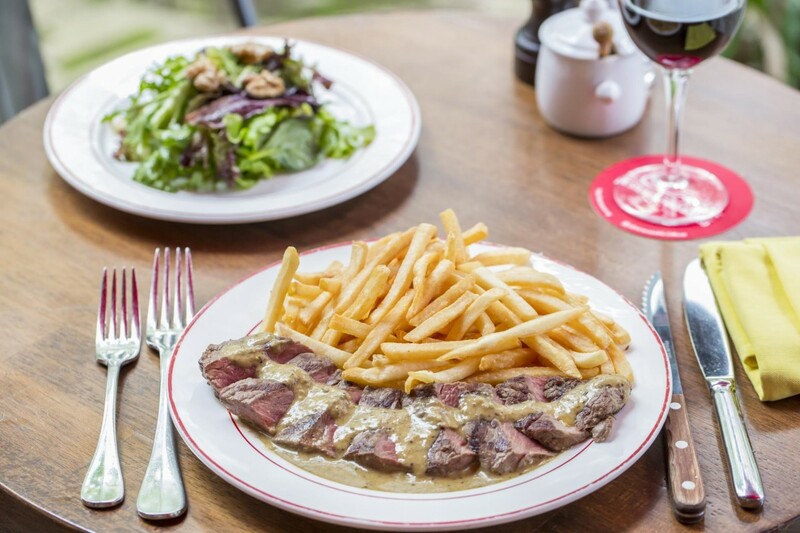 L’Entrecôte’s star dish is the Trimmed Entrecôte Steak ($34.90), paired with a free flow of crispy golden fries. The steak was grilled to a nice pink, and the secret sauce complemented the beef and fries. 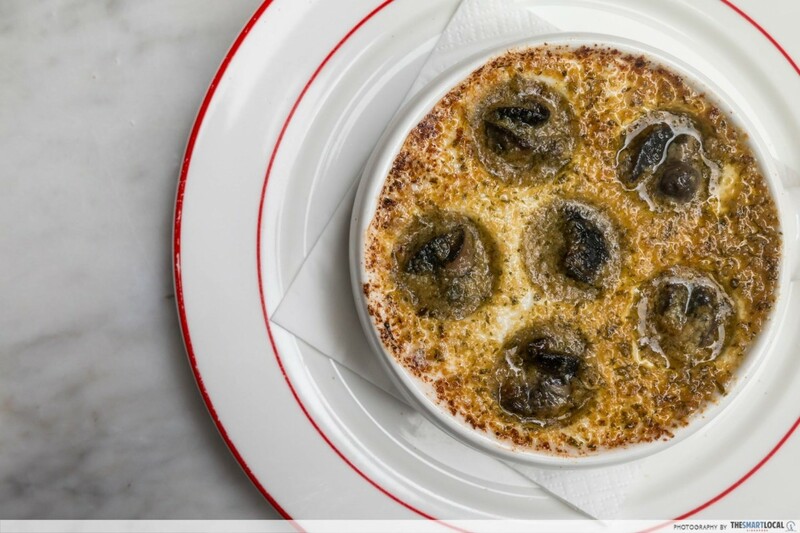 We also tried their Escargots De Bourgogne ($16). Each of the 6 snails were placed in a bath of butter, parsley, and garlic, in true French fashion. 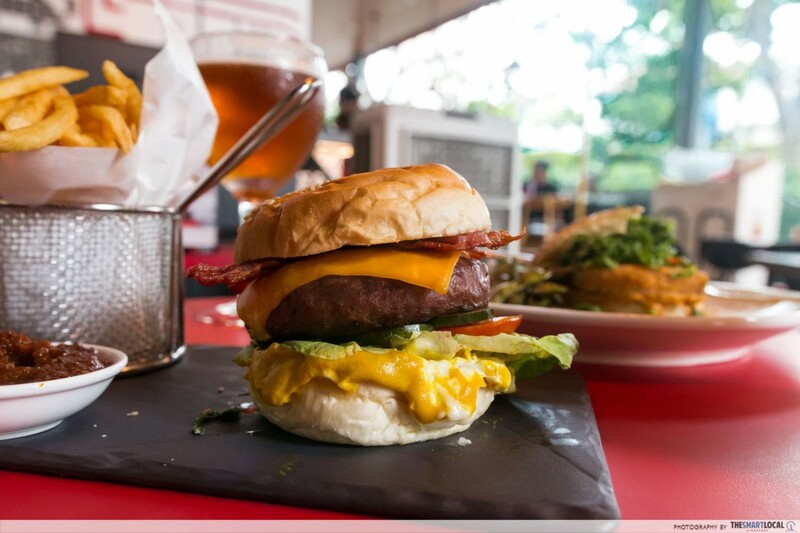 A burger packed with everything is exactly my style, and the ones at &MADE Burger Bistro didn’t disappoint. Look at that oozy cheddar cheese! Their N.Y. Bacon Burger ($24) had me from the moment I saw the cheddar cheese oozing out from all sides. It arrived with the full works - beef patty, smoked bacon, tomato, lettuce, and pickled cucumber. To give the flavour more oomph, there was garlic mayonnaise, yellow mustard, and ketchup mixed in. We then moved on to Sabio Tapas Bar, and we simply couldn’t go to a Spanish tapas place and not have paella. 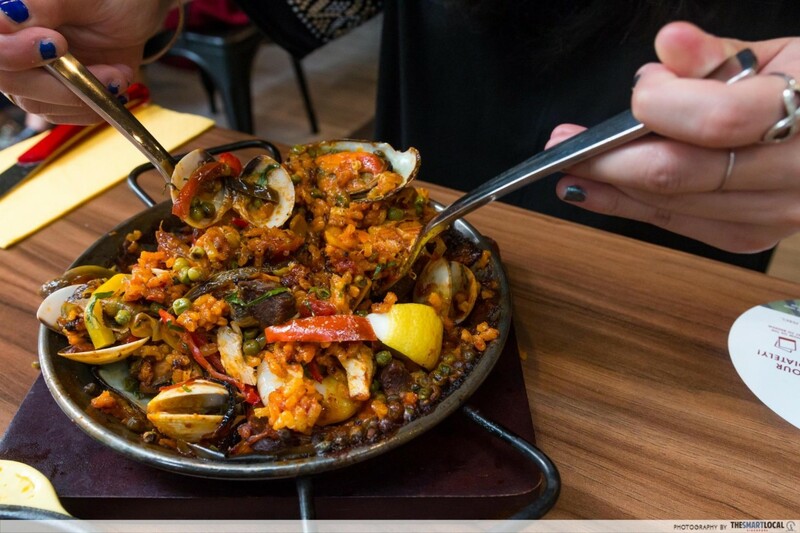 We had the Traditional Valencia Paella ($29), which had an assortment of seafood from fish, prawns, mussels and clams, with capsicum and peas sitting over a bed of rice. Next up was some lighter fare with salad and dessert from Ange Café. 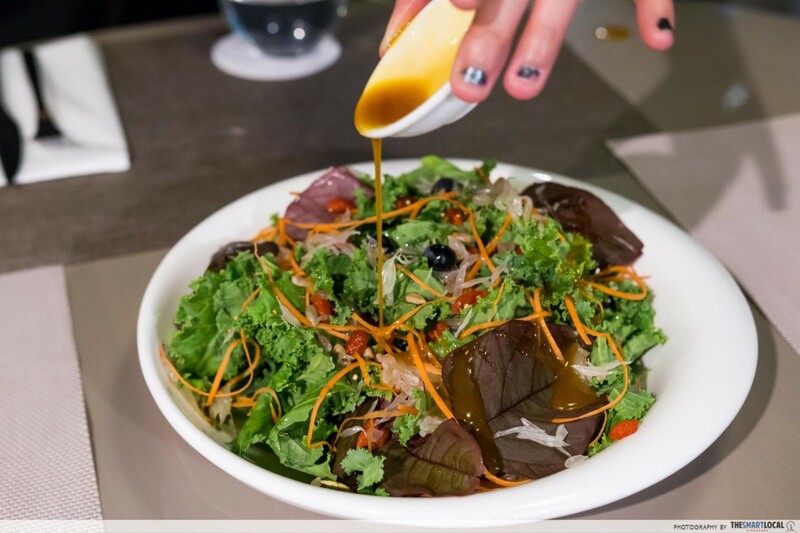 A hearty mix of fruits and seeds were tossed into our Super Food Salad ($22). The tartness of the passionfruit dressing lifted the taste of the salad nicely. Rounding off our spread was an array of desserts - my favourite part of any meal. 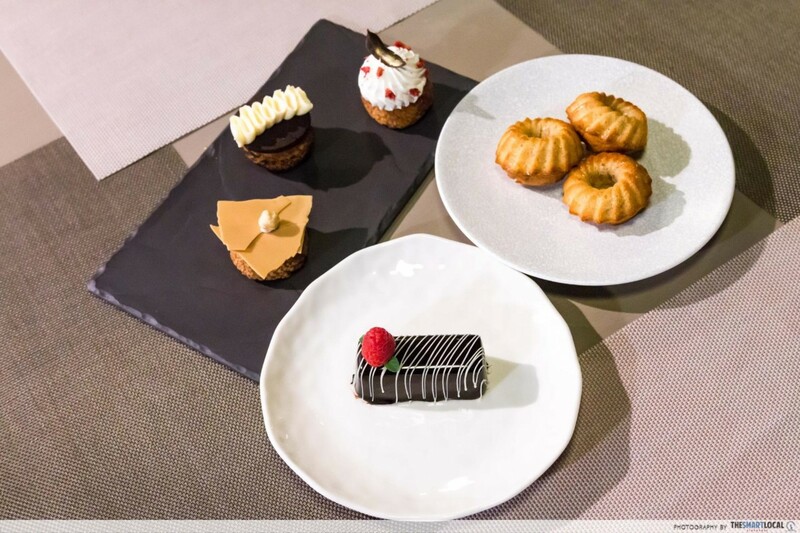 If you can’t choose from the delicious row of treats, you can opt for Angela May’s Artisanal Housemade Choux Pastry, where you can have a selection of either 3 for $13 or 6 for $24. If your group of friends are fussy eaters, you can sit anywhere you like and still order from all 4 menus. So take a seat near the bar on the first floor, or sit by the balcony on the second floor for fresh air with a perfect people-watching vantage point. 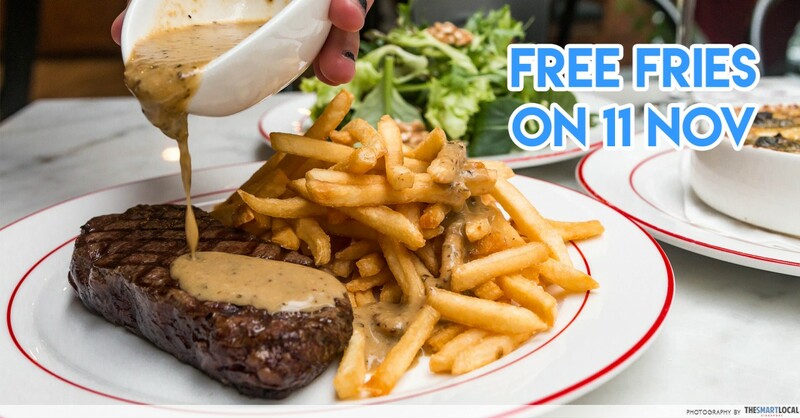 Free Fries Day on 11 November at Glasshouse is a good excuse to visit L’Entrecôte at The Glasshouse by DHM and indulge in free fries with no strings attached. You can literally just show up, grab a box, and go. Or, if you're looking for a new place to chill in town, the 4 dining options at Glasshouse are diverse and serve up quality food. Find out more about Glasshouse by DHM’s Free Fries Day here! This post was brought to you by Glasshouse by DHM.